Lipsense is a multi-step system. Step one is to apply the color. Depending on the shade you will likely need 2-3 coats. As a tip, make sure to wait at least 20 seconds between coats and to swipe the color in only one direction (so that you don’t remove part of the color you just applied). Step two is to apply the gloss. The standard is their glossy gloss (which I LOVE). I also tried the matte gloss, but I don’t recommend it. The glossy gloss is incredibly hydrating and leaves your lips feeling smooth. The matte gloss doesn’t last as long and doesn’t preserve the color quite as well. And that’s it! Within less than 2 minutes you’ll have lip color that lasts all day. To remove (step 3, if you will) use the “oops” remover. 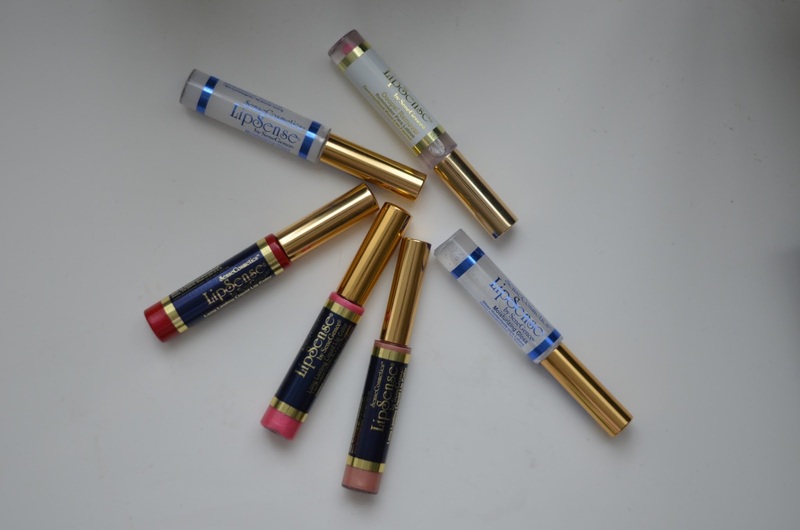 I have three colors of lipsense, as you can see from the photo above. My personal favorite is the crimson red because it is so nice to have dramatic lipstick and know that you don’t have to worry about it smudging all day/night. I also (not pictured) have fallen in love with wearing two layers of fleur de lisa and one layer of bombshell. It creates a perfect light pink for every day wear. problem. Take it as my warning though; this was a huge problem for me in the beginning! One other issue to point out, is I found that the gloss goes down incredibly quickly. Because you need to reapply throughout the day and if you have dry lips, like me, you also want to use it on days when you aren’t wearing color – the gloss goes so quickly. I would almost go so far as to say you should just buy two when you make your first purchase. I wish they just made a larger tube of the gloss! And that’s it! If you have any questions at all, please let me know in the comments below. Of you want lipsense, be sure to head over to The Red Closet Diary where you can purchase directly from Jalynn. PS. if you are terribly indecisive when it comes to color *cough* me *cough*, Jalynn is AWESOME at helping you choose the best color for you!